Hey Tulsa! We offer the best in smart home security and video surveillance at the best local price. 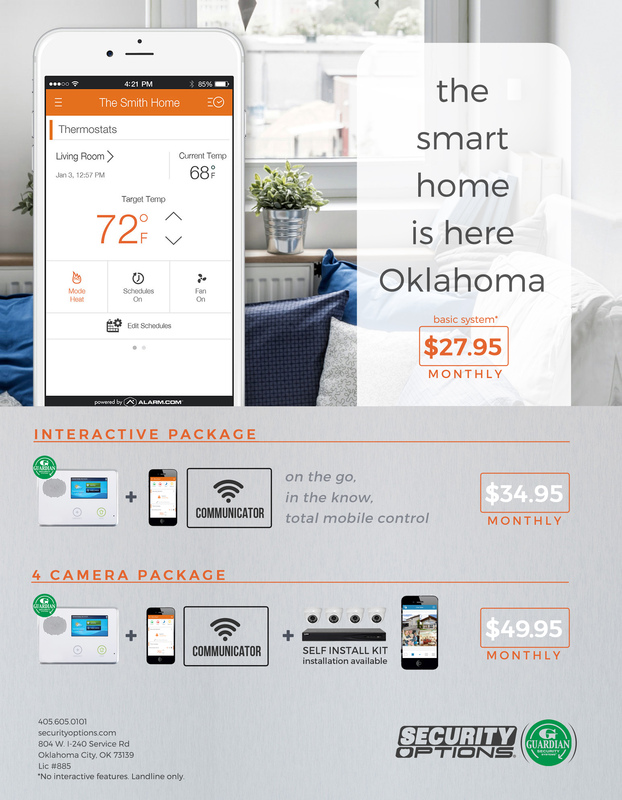 Tulsa’s home security installer is Security Options. We cover Broken Arrow, Owasso, Sapulpa, Bixby and all surrounding areas. We monitor 24/7 in Oklahoma with the best UL certified station. Just a couple hours away is our brick and mortar smart security system and video surveillance showroom in OKC. Don’t see your city? Click here to look around. 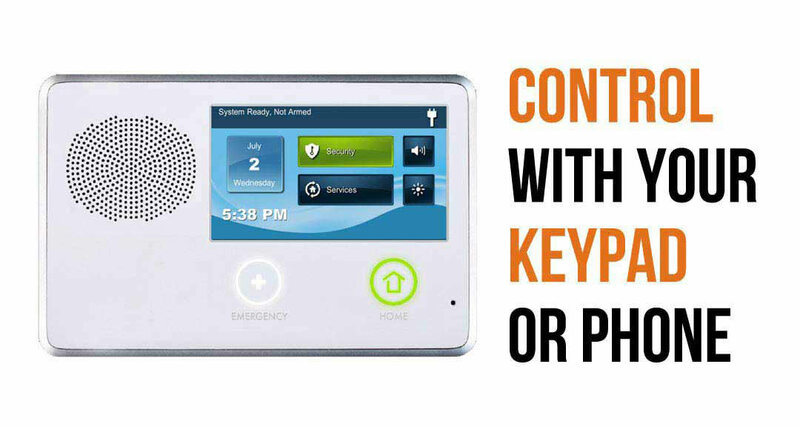 We service all over the state and install the Skybell HD, access smart door locks, and energy saving thermostat as part of our smart security packages. 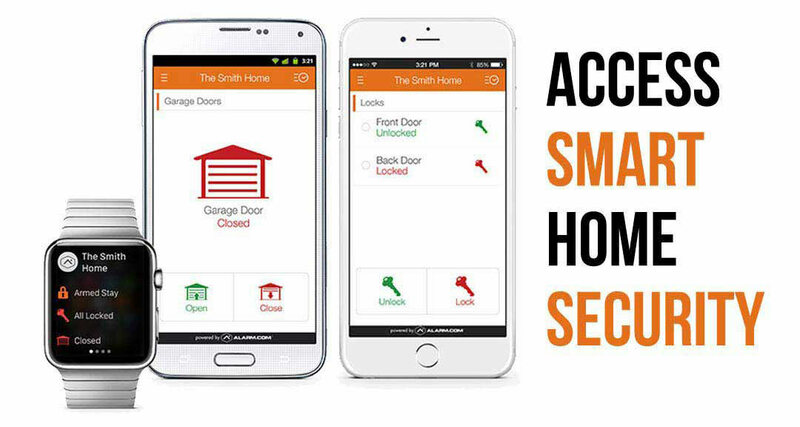 You deserve remote access, protection and home management all from your phone. Being a local security alarm dealer you know that your money stays right here in Oklahoma . Whether you need one camera or a 32 camera system with multiple DVR’s we have you covered for your home or business. One thing about Security Options is we have the experience of the big guys, but we’re based locally in Oklahoma. That’s okay! We have pet sensitive motion detectors that work to make sure your family friend doesn’t set off your alarm when you’re sleeping or away. Does it work with my smart phone? It is compatible with iPhone or Android. We can set you up with the apps you need to watch over and control your house or commercial property. All at your fingertips. Yes it will! There are a couple of ways this can save you money. First off, if you ask your insurance company there is a good chance they will give you a discount of up to 20% just for having a burglar alarm system. Second, you can control your thermostat as well as other appliances from your phone. The average person can spend over $7,000 a month on utilities and household costs. If you manage your energy right, saving money will be a breeze. Not to mention avoiding the potential of the costs of getting robbed. Does it protect against identity theft? Our service doesn’t just protect and control your home. It also protects you from identity theft. Some reports say that identity theft is the fastest growing crime in America and up to 19 fall people victim a minute. We monitor our systems 24 hours a day, 7 days a week. How long has Security Options been in business? We have serviced over 20,000 customers and been in business for over 10 years. The awards we have won working with Brinks, Broadview and others range from local to nationwide. Just give us a call or fill out the form below. We’ll run a credit check and if you pass and you own your home we’ll schedule and appointment at your earliest convenience. *Certain limitations apply. Must own your own home. Tulsa has a rich history. It's the second largest city in Oklahoma population wise with over 400,000 people. It's the 47th most populated city in the United States. Tulsa was also rated in the top 50 best cities by Bloomberg in 2012.